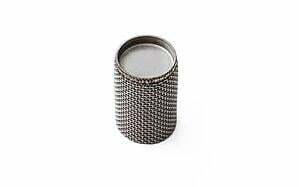 What is a Metal Strainer? 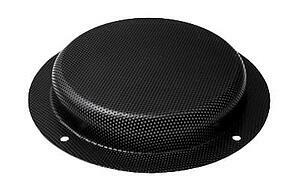 To some, the difference between a metal strainer and metal filter is a matter of semantics since many design engineers use the term filter and strainer interchangeably. Although this is correct, the major difference between a metal filter and a metal strainer is particulate size to be removed from process media. 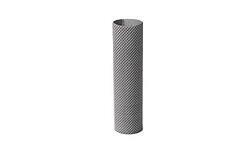 Metal filters typically remove smaller particles than metal strainers, although the desired result is the same—to separate and remove harmful or unwanted material. The most important consideration is ensuring that the filter or strainer selected will remove the particles from your specific application. 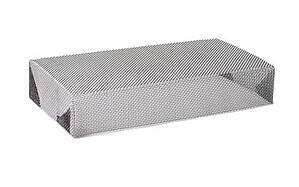 Like metal filters, metal strainers or strainer elements manufactured by Yankee are used primarily in commercial and industrial/OEM applications. 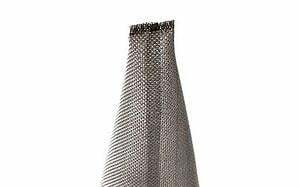 Metal strainers are manufactured from wire mesh, perforated metal, or expanded metal, and are often placed in-line with process piping to remove larger particulate matter and contaminants that may damage pumps, valves and other process equipment. 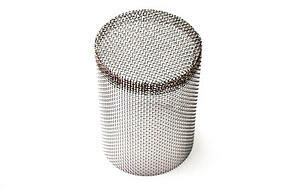 Metal strainers can also be used to separate, or screen one substance from another. 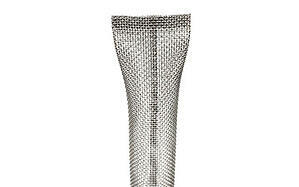 Typical applications include food processing, pharmaceutical, chemical, hydraulic, and general industrial applications. Metal strainers come in wide range of configurations, including basket or simplex basket, duplex basket, in-line, tee type, and y-strainers. 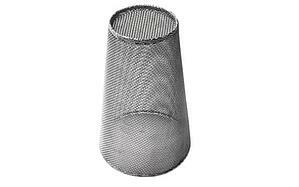 A simplex basket metal strainer is used when a temporary line shut down to clean or change baskets is practical. Duplex strainers eliminate the need to shut down the process line for cleaning; when one strainer basket becomes full and clogged, the flow is simply switched to the other side, allowing the line to run continually. In-line strainers, often utilized in sanitary applications, are typically positioned with the basket parallel to the line of fluid flow. 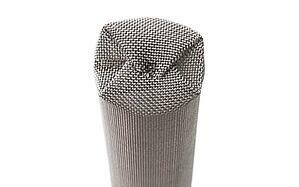 Tee type metal strainers are similar to duplex strainers, allowing for quick basket replacement and ease of cleaning. 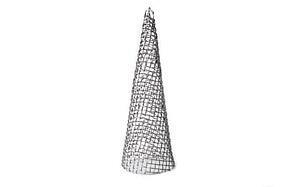 Y-strainers are often used in process pipelines to protect pumps, meters, control valves, steam traps, and regulators. 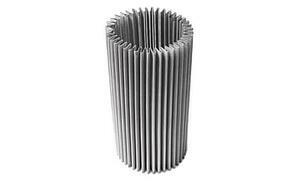 Metal strainers possess design characteristics which make them a superior alternative to paper filters. 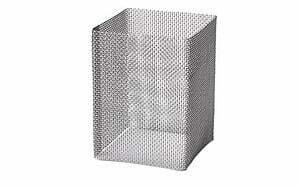 Metal strainers are inherently cleanable and reusable. Properly designed, they can withstand temperatures in excess of 500 ° F, extremely high-pressure differentials and caustic/corrosive environments. 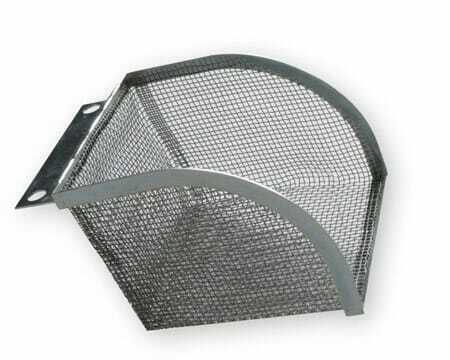 There are three primary materials with which you can design metal strainers. 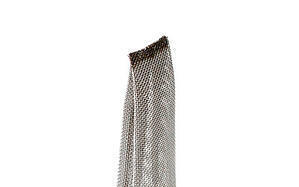 These are: wire cloth, expanded metal and perforated metal. Each material has its own flow rates and individual characteristics making it a “best fit” for particular engineering requirements. 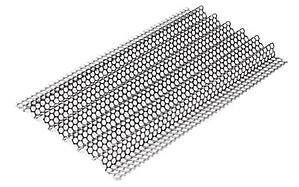 For example, perforated metals can be selected with round holes, square holes, or any other shape required based on size and or shape of the particulate that needs to be strained. 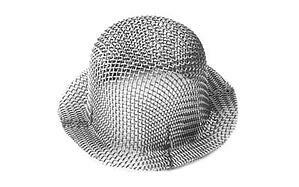 In some applications, strainer design requires a mix of materials for support or to develop a protective underlying or outer structure of expanded or perforated metal or a coarser mesh that guards delicate pleated interior components. Metal strainers can be formed using a variety of techniques. The specifics of your filtration requirement – particles size, GPM flow rate, contact liquid as well as the physical space limitations into which the strainer must fit all affect the construction type and the strainer end formation.